And You Think There Are Too Many Guitar Hero Games NOW? Wait til you see the future! 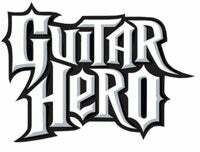 During their analyst's day conference call earlier today, Activision announced their intent to run the Guitar Hero brand into the ground. While Bobby Kotick said in May that they want to continue to "expand" the franchise, they've today got specific, saying that means they want 3x the number of Guitar Hero games on the market in 2010, by bringing in more and more developers to work on the series. Yeah. Three times. There'll have been three Guitar Hero games in 2008 by the time Christmas rolls around, so you do the math. Guitar Hero: Timbaland, coming soon!